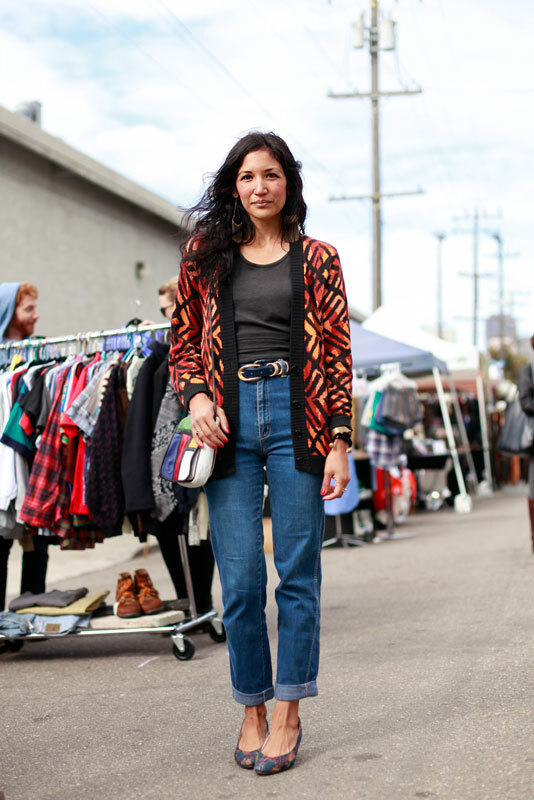 "Vintage, it's what I like, things were made better. It's how I make my money." This lovely lady knows proportions. 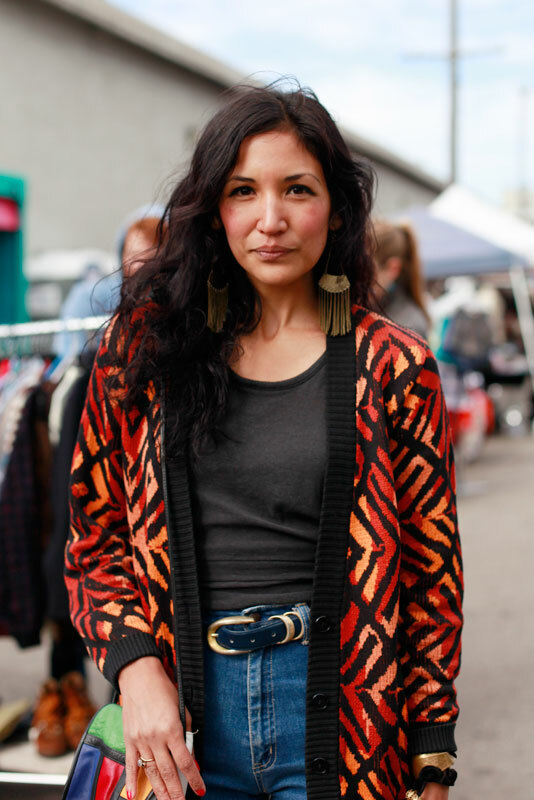 Check out those earrings, the perfect length of that cardigan and the perfect heel height. I frequently chase that silhouette, even if I'm bad about wearing accessories. You can find her store/wares online. A close-up of those covetable heels.